You'll be £12.99 closer to your next £10.00 credit when you purchase Images of Fred Dibnah. What's this? You didn't just meet with Fred Dibnah, you were instinctively drawn close to him. His larger than life personality was truly infectious and his communication skills second to none. Fred had the uncanny and somewhat unique knack of talking through a TV camera so that the viewer actually felt a personal contact with him. The Bolton-born steeplejack became nationally known and loved, following a series of TV programmes. Although an admirer of all things Victorian he was what the modern media people call 'a natural', microphones and TV cameras did not faze him one bit. This publication takes the reader on a fascinating journey during the making of Fred's last TV series in 2004. Cheshire based KEITH LANGSTON is a widely published and highly respected photo journalist who specialises in heritage transportation and industrial archaeology subjects. 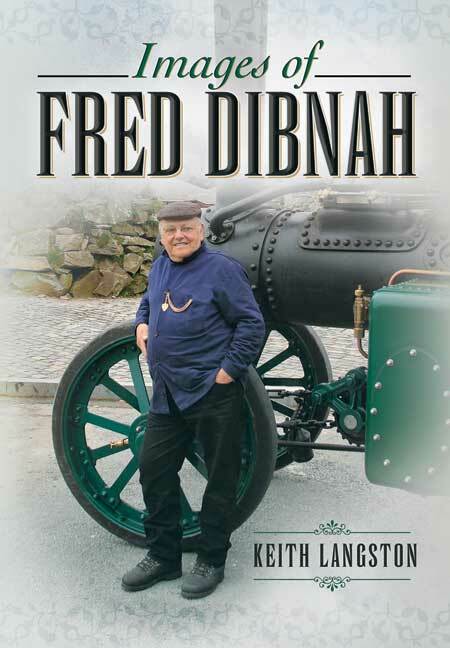 Keith counts himself fortunate to have known Fred Dibnah personally and to have observed the 'great man' first hand as he went about his fascinating work. Keith Langston contributes news and feature material on a regular basis across a wide range of heritage titles. Probably one of the most atmospheric series of photographs is the one depicting the downfall of a chimney. The book features a brief introduction to Fred's early life but it is his work that the book is based on. Plenty of charming pictures of Fred with his steam engines. There is a lovely photograph of a young boy collecting Fred's autograph. Probably one of the most atmospheric series of photographs is the one depicting the downfall of a chimney. The book features a brief introduction to Fred's early life but it is his work that the book is based on. Plenty of charming pictures of Fred with his steam engines. Images of Fred Dibnah is a pictorial tribute to Fred, bringing to life his infectious nature and personality. There are some remarkable images in the book.